I hope you are as excited as I am about the new LINDT Chocolate Boutique that has recently opened in Sandton City. 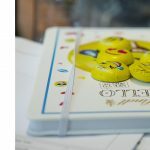 It is a first of its kind here in SA, as it offers a customised, immersive brand experience that is designed to take chocolate appreciation to a new level. I am a huge chocolate fan and especially enjoyed the LINDOR ball pick n mix section. 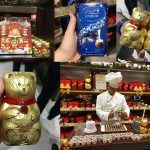 The new store gives us an intimate and luxurious glimpse into the world of LINDT and allows us, chocolate lovers, the opportunity to explore a wide selection of international flavours, as well as our well-known and loved favourites. The look and feel of the store, is simple, clean and elegant. They drew on the warm brown and gold tones, that we are all familiar with and associate with LINDT. 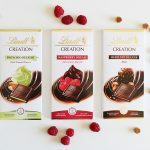 With the help of the Chocolate Advisors, in store – chocolate enthusiasts will be able to discover new and exciting flavour profiles based on their individual preferences and lifestyles. My favourite part of the LINDT Chocolate Boutique is the LINDOR Pick & Mix. My husband, Nic and I sometime can’t agree on what flavour to get, that we both feel like. So, this is the perfect solution, as you can both get what you want and feel like! And I always feel like the coconut LINDOR balls! Also you can control how many you buy at once, because once you pop a LINDOR ball in your mouth…you just can’t stop till they are all gone! Hope you enjoyed Ange’s contribution. 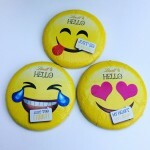 If you want to follow Angelique on Twitter – @AngeHeyns & Instagram – @ah_anjinho for more awesome pics of cakes, chocolates and all things Ange! I am a final year Hospitality Management student at the University of Johannesburg. 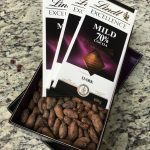 I am interested in working at Lindt in 2018. Please advice me in how I should go about with my application. Hi Wania, I suggest that you contact them directly. 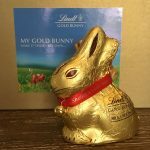 I am an independent blogger, I don’t work for Lindt.